RIGA - This and next year, Latvia’s gross domestic product is likely to show fastest growth among the Baltic states, according to the European Commission’s latest forecast. The European Economic Winter Forecast 2019, released by the European Commission on Thursday, shows that the Latvian economy is projected to grow 3.1 percent in 2019 and 2.6 percent in 2020. Latvian inflation is forecast at 2.7 percent for this year and 2.1 percent for next year. Meanwhile, Lithuania and Estonia are expected to show identical economic growth in the next couple of years – 2.7 percent in 2019 and 2.4 in 2020. According to the European Commission’s forecast, Estonian inflation will reach 2.8 percent this year and slow down to 2.3 percent in 2020. In Lithuania, consumer prices are expected to rise 2.2 percent in 2019 and 2.1 percent in 2020. 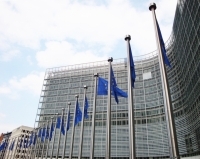 The European Union’s (EU) economic growth rate is forecast at 1.5 percent for 2019 and 1.7 percent for 2020. The economic growth forecast for the EU minus the UK is 1.5 percent for 2019 and 1.8 percent for 2020. The euro area’s growth is forecast to accelerate from 1.3 percent this year to 1.6 percent next year. Inflation in the EU is expected to reach 1.6 percent in 2019 and rise to 1.7 percent in 2020. In the euro area the inflation rate is forecast at 1.4 percent for this year and 1.5 percent for next year.